Your journey to lands unknown will bring you through dense forest and dangerous places. Be prepared and have your Black Steel Bolo Machete by your side at all times! You never know when you may need to use it to fight to survive. This large, black, machete possesses a stainless-steel, bolo style blade. The slight bulge at the end of the machete blade adds extra weight for optimal chopping power. Its durable ABS plastic handle is banded to provide a firm grip in your hand. 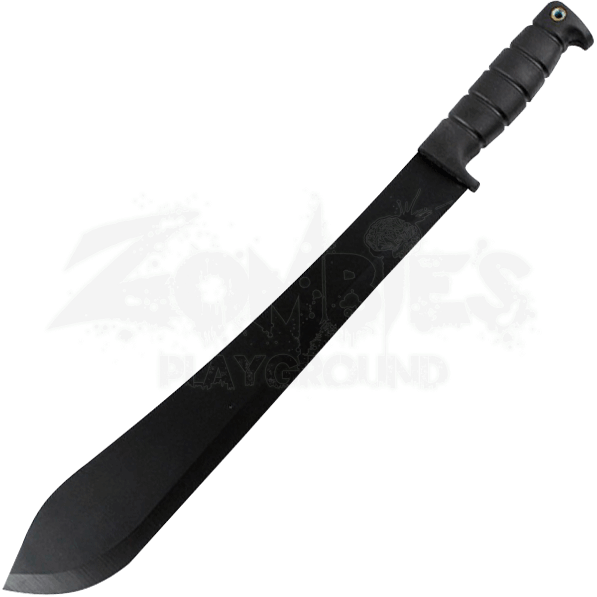 The nylon sheath that this dark machete comes with is riveted and stitched to ensure that it lasts a long time. The top of the sheath features a loop that you may secure the handle of the machete with so that it will not fall out unexpectedly and folds over on itself to make a belt loop, with which you may keep this sharp tool by your side. 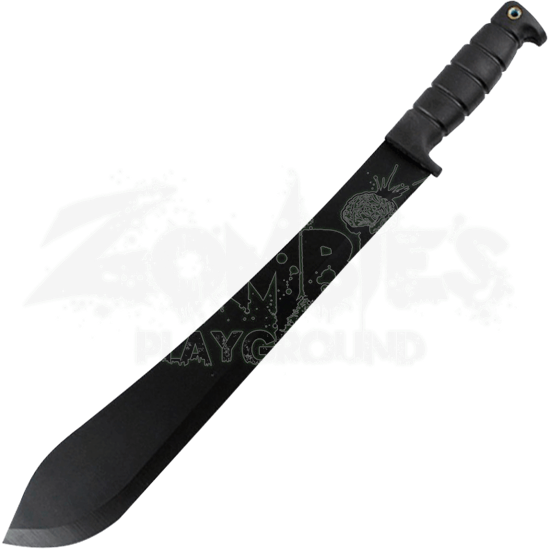 Perfect for use outdoors, this dark steel machete is the ideal gift for those who enjoy adventuring in the wilderness!